Beer to go? We got you covered! 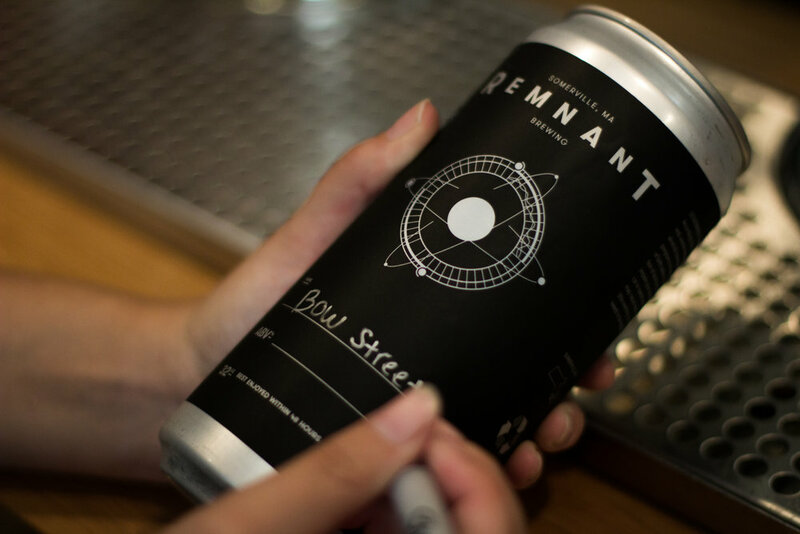 Remnant beer is now available in canned crowlers to go! Each 32oz can is made to order so you’re always getting the freshest cans. Crowlers are available daily from 11am through last call. Our beers rotate frequently so please visit our beer page for the most up to date offerings. What even is a crowler? A crowler is a 32oz can full of beer! Check out this great article to read more about their history and place in the craft beer industry. Are all of your beers available in crowlers? At this time we do not offer any barrel-aged beers as crowlers because of their limited quantity. How much is a crowler? Prices vary based on the beer but generally range between $12 and $16. Because of both Massachusetts law and quality considerations, we do not sell or fill traditional growlers. Have a question that wasn’t addressed? Head over to our contact page and send us a message!